The original Minor MM series lasted from 1948–1953. It included a pair of 4-seat saloons, 2-door and 4-door, and a convertible 4-seat Tourer. The front torsion bar suspension was shared with the larger Morris Oxford, as was the almost-unibody construction. Although the Minor was originally designed to accept a flat-4 engine, with four distinctive gaps in the engine bay to accommodate it, late in the development stage it was replaced by a 918 cc (56.0 cu in) side-valve straight-4 producing 27.5 hp (21 kW) and 39 lbf•ft (53 N•m) of torque. This little engine pushed the Minor to just 64 mph (103 km/h) but delivered 40 miles per imperial gallon (7.1 L/100 km; 33 mpg-US). Early cars had a painted section in the centre of the bumpers to cover the widening of the production car from the prototypes. This widening of 4 inches (102 mm) is also visible in the creases in the bonnet. Exports to the United States began in 1949 with the headlamps removed from within the grille to be mounted higher on the wings to meet safety regulations. These became standard on all Minors for 1951. When production of the first series ended, just over a quarter of a million had been sold with a surprising 30% being the convertible Tourer model. The car was again updated in 1956 when the engine was increased in capacity to 948 cc (57.9 cu in). The two-piece split windscreen was replaced with a curved one-piece one and the rear window enlarged. In 1961 the semaphore-style trafficators were replaced by the more modern flashing direction indicators then becoming the norm for the UK market. An upmarket car based on the Minor floorpan but with larger BMC B-Series engine was sold as the Riley One-Point-Five/Wolseley 1500 beginning in 1957: a version, with tail fins added, of this Wolseley / Riley variant was also produced in Australia as the Morris Major. 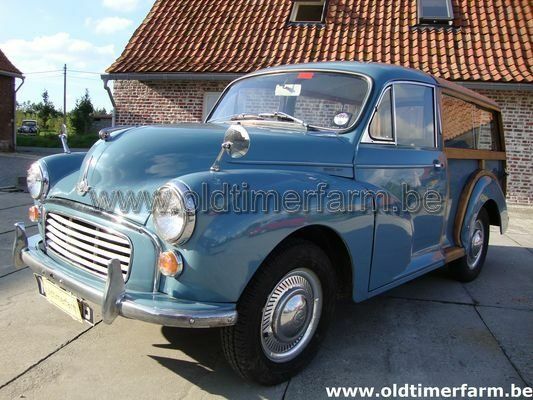 Today the Morris Minor and 1000 are among the best served classic family-sized cars in the old vehicle movement and continue to gain popularity. The enduring affection for the "Moggie" (also a common British nickname for an undistinguished cat, or a Morgan) or "Morrie" (as it is often known in Australia and New Zealand) is reflected in the number of restored and improved Morris Minors currently running in Britain, Australasia and in India. In addition to more powerful engines, desirable improvements necessitated by the increase in traffic density since the Minor was withdrawn from volume production include the replacement of the original equipment drum brakes with discs. Other important upgrades include the 1,275 cc (77.8 cu in) version of the A-series engine, derided by Morris Marina enthusiasts as a key reason why many Marinas were scrapped. 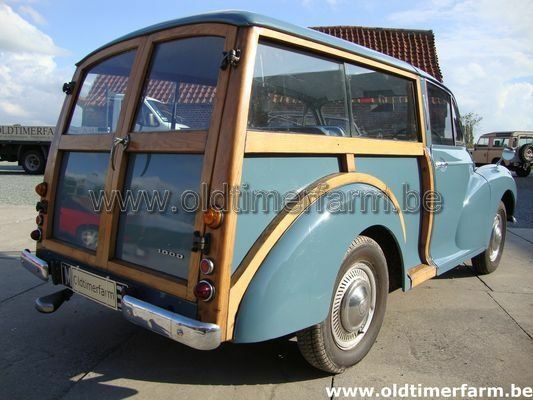 Top Gear presenter Jeremy Clarkson once stated that the Morris Minor is Britain's Volkswagen Beetle.